California is a big state. About 40 million people live here. Many of those people are concentrated in California’s big cities, including Los Angeles, which is our nation’s second-largest. Others are spread across the vast breadth of California, a state that covers more area than all but two others (Alaska and Texas, if you were wondering). Supporting a population that vast takes a big economy (California’s economy is bigger than the entire United Kingdom’s, and would be the fifth-biggest national economy in the world were California a nation instead of a state). It also takes an extensive network of roads and shipping methods. That means that a lot of big trucks are on California’s busy roads and highways. Trucks are important. If American trucking ceased, the nation would grind to a halt. Medical supplies would run low within 24 hours, food shortages would emerge within a few days, and even water supplies would reach crisis points within a couple of weeks, experts say. But trucks can also be dangerous. As much as we rely upon responsible and effective truck drivers, we need to be wary of the ways in which semi trucks can cause dangerous accidents. Trucks are bigger, heavier, and less maneuverable than other vehicles. Semi trucks — as well as delivery trucks, pickups, and the many other types of trucks we find on our roads here in California — can be dangerous to their operators and to other drivers on the road. Motor vehicle accidents can hurt people very badly. The sheer power of the forces involved can do terrible things to a human body, inside and out. Effects can linger for years after an accident, which can trigger serious personal and financial costs. All of these things only become more true when heavy trucks are involved. If you are the victim of a truck accident, you could be stuck wrestling with huge medical bills. You may find yourself unable to work as effectively as before the accident, or for as many days or hours per week as before the accident, or even at all — you could lose income, your job, or even an entire career over a serious accident. And if the truck accident was caused by someone else’s negligence, then all of this will seem even more unfair. Fortunately, you are not without options under California’s laws. If you’ve been injured in a truck accident through no fault of your own, California law gives you options. You could opt to file a personal injury lawsuit, one expert truck accident attorney in California says. If an attorney can prove that your damages are the result of injuries sustained in an accident that was the direct result of someone else’s negligence, you could win a court award that could help you cover medical expenses and compensate you for your pain and suffering. 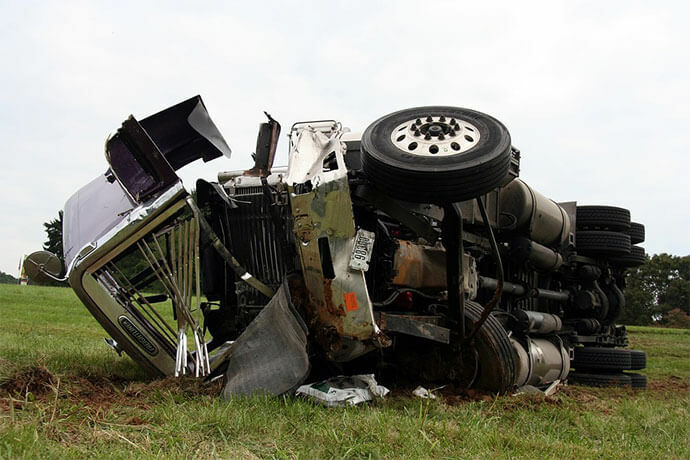 If you’ve been injured in a trucking accident, you should collect any and all evidence of your damages. Get a copy of the police report of the accident (if there was one). Keep medical bills and doctor’s notes. Track correspondence with your vehicle and medical insurance providers. Bring all of this when you meet your attorney for the first time — and make that meeting happen soon. Time is of the essence in personal injury lawsuits, so don’t delay. Move quickly to find a trusted and effective personal injury lawyer right in your area of California. A local attorney will understand California law and may even know the judges and opposition. If you act fast, your attorney will have more time to build your case. You’ll also have less to worry about in regard to California’s statutes of limitations, which include limits on how long you have to file a lawsuit after an accident. Truck accidents are dangerous, and they can happen right here in beautiful California. Hopefully, you’ll never be involved in one — but you should know your rights, just in case!